You are viewing a photo gallery by the authors of And If I Perish: Frontline U.S. Army Nurses in World War II. For more information, return to the main page. 5. 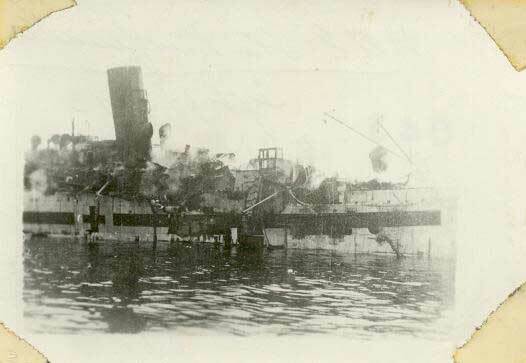 After being struck by a German bomb on 13 September 1943, HMHS Newfoundland is adrift off the coast of Salerno, Italy.